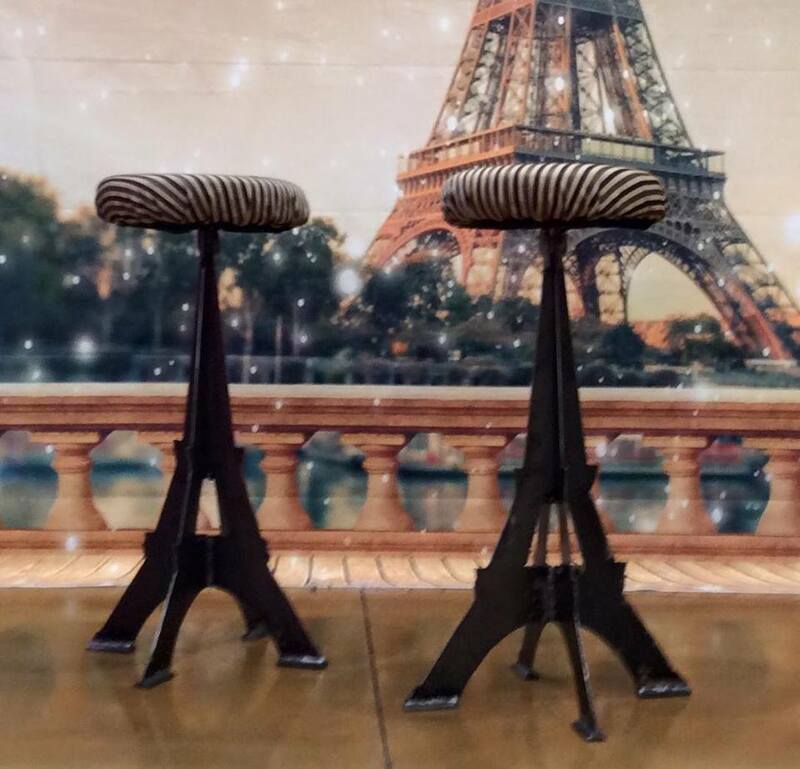 These beautiful metal sculpted Eiffel Tower 'stools' can be bar stools, or with marble, wood or granite rounds attacheed, lovely end tables. They are currently 'covered' with striped fabric to match the set, but will be yours to design as you wish. We are selling raffle tickets to win these beautiful pieces of art. Yes, they are art, designed and created by sculptor Kai Schulte for our show. You may buy them on line or at the show.